Many pulp writers of old made good bank with a hit series character. Edgar Rice Burroughs created Tarzan. 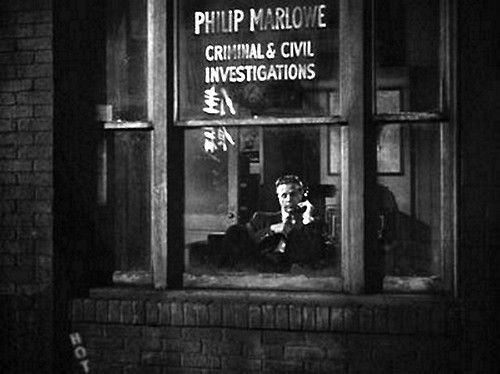 Erle Stanley Gardner gave us Perry Mason. Dashiell Hammett penned the Continental Op. The ladies were represented as well. An obvious pen name “Lars Anderson” wrote a series featuring college-educated Ellen Patrick, who fought corruption in 1930s Los Angeles as “the Domino Lady.” The pulp magazine she appeared in was Saucy Romantic Adventures, and wouldn’t you like to have a few original copies of that? Sherlock Holmes is perhaps the most famous example of the hit series character. So popular was Holmes that his creator, Sir Arthur Conan Doyle, couldn’t get out from under him. At one point Doyle killed off his detective, but the public demanded he be brought back. His resurrection was by way of the novel The Hound of the Baskervilles. When it was first published in The Strand magazine, the circulation of that periodical went up by about thirty thousand. In other words, Doyle, though feeling a bit trapped, took that feeling all the way to the bank. What Makes a Great Series Character? What is unique about Sherlock Holmes? He’s moody and excitable. Among the very staid English, that was different. Jack Reacher? Come on. The guy doesn’t own a phone or clothes. He travels around with only a toothbrush. Funny how every place he goes he runs into massive trouble and very bad people. Katniss Everdeen is killer with the bow and arrow. Harry Potter is one of the great wizards (though he has a lot to learn). The series hero should rub up against authority, even if it’s in a quiet way, like Miss Marple muttering “Oh, dear” at the local constabulary. Hercule Poirot is a needle in the side of Inspector Japp. Robert E. Howard’s Conan the Cimmerian has a vicious temper that sometimes gets the better of him. Sherlock Holmes has a drug habit. Stephanie Plum keeps bouncing between two lovers, who complicate her life. Raymond Chandler’s Philip Marlowe has some of the greatest quips in the history of crime fiction. We like them because Marlowe is also vulnerable—to getting beat up, drugged, or otherwise manhandled by forces larger than himself (like Moose Malloy). Wit is one of the great likability factors. Another is caring for others besides oneself. Stephanie Plum has a crazy family to care for, not to mention her sometime partner Lula. One decision you should make early on is how much character growth there will be. While you’ll hear a lot about the necessity for character arcs, they aren’t always necessary. Michael Connelly, on the other hand, has brought tremendous change to his series character, Harry Bosch. He decided, too, that he would age Bosch right along with the books, a decision he has come to ruefully regret. Bosch is getting up there! At the very least, your character ought to grow stronger with each adventure. Why? Because without that there is no tension or conflict in the story. Each new tale must challenge the character in some way that threatens him with death (physical, professional, or psychological). Self-publishing today provides the writer with a way to “test drive” a potential series character. You can do that in a number of ways. You can write a story and send it to several beta readers. These are people you know and trust to give you honest feedback. You can publish in a free venue, like Wattpad, and collect the feedback that way. There’s always the option of going to Kindle Direct Publishing, and using Kindle Select exclusivity so you can promote the story for free. Promote the heck out of it. Read the reviews. The pulp writers of old weren’t shy about testing a character and then moving on if that character didn’t create enough buzz. Their big problem was the lag time between sending in a story and waiting months for it to appear. Today, you don’t have to wait. Who are some of your favorite series characters? What do you think is the key to their popularity? This entry was posted in series characters by James Scott Bell. Bookmark the permalink. JCMacD aged him (slightly) over each successive color-coded title~ (and rumor had it he intended to kill him off with a third-person narrative, told by McGee’s “Wastson,” Meyer, and titled _A BLACK BORDER FOR McGEE_ ~ though I don’t believe anything has been found in MacD’s papers). Right you are, George. McGee was tremendously popular, and I think ##1 and 5 were primary reasons. His houseboat lifestyle was appealing to the “working stiff” of the 60s and 70s. And his witty riffs on societal ills somehow never became preachy. Only a fine writer like JDMacD could pull that off. Among others, I like the late Robert B. Parker’s Jesse Stone. (And I read them before I saw Tom Selleck in the role, so Parker gets the credit for creating a strong but vulnerable character. I also like Eve & Roarke in JD Robb’s “In Death” series. They’ve both grown over the bazillion books she’s written in that series, although Eve more than Roarke. Rina and Peter Decker pull me back to Faye Kellerman’s series, as does Alex Delaware in Jonathan’s books. Terry, I’ve read the Jesse Stones, and watched all the Selleck versions. That is the perfect meeting of actor and character. He’s vulnerable for sure, but it’s not overplayed. Call me corny, but I still enjoy James Bond–I was hooked on Nancy Drew as a kid. Katniss Everdeen is a great character, too. Our own Nancy Drew author, Kathryn Lilley, will be glad to hear that! One thing that’s common to series characters who lack some of these five characteristics is unearned sympathy via a backstory tragedy. In fact, I find that the more a series hero demands my emotional commitment from the beginning because his/her sister/daughter/father/mother/spouse died horribly before the start of the story, the more they slog through a given story without meaning of these key engaging qualities. A series hero has to be liked for who they are and what they do in the story’s present, not because of what they suffered in the past (unless the past is woven into the present without putting the plot on pause; Tyler Dilts’s series hero, Long Beach Police Detective Danny Beckett, neatly inverts a couple of tired tropes by having the lingering pain from a “convenient arm/leg/shoulder wound” define his character and actions in each story). But I don’t want to hear about a hero’s murdered family or war trauma or childhood abuse unless you, the author, take me there and tell a great story while you’re at it. Short of that, the hero must check every box on Jim’s list. Jim, you’re absolutely right that a painful backstory has to be woven into the plot. We sometimes call that the “ghost” that haunts the present. As long as there is real connection, and consequences, it can work. That’s the craft of it. This was very helpful. My brain seems hard-wired to think in terms of series fiction–I’d say of all the projects I have in the hopper it’s about a 70/30 split series/stand-alone. This article helped me pick a place to start. For me the biggest hurdle in series fiction is the fact that my brain goes in 20 million different directions with 20 million different possibilities (plus the 20 million other interests), & then I freeze up cuz I just can’t figure HOW TO START. With this, I can set aside time to think about each of those 5 things & start mapping a plan (and I’m more likely to be able to carve out time in these more manageable chunks). Interestingly, the first protag who popped into my mind when reading #3 a bit of a rebel was Laura Ingalls. Granted, I know the TV series better than the books so I don’t know if they were widely different, but Laura Ingalls embodied this and was a huge part of why she was so popular (as was her arch-nemesis Nellie Olson). I LOVED the Hardy Boys. Even though I wouldn’t characterize them as having much character growth over the years they were still very enjoyable to read (you could argue there was some growth from the Blue Spine series to the Case Files but I think that was more associated with updating the books with the times). I don’t know if it counts as a series because the characters only recurred in 2 books, but Zane Grey’s Forlorn River and Nevada were great. And the late Vince Flynn’s Mitch Rapp books were good too. Thanks for the lead on beta readers, BK. I can’t vouch for it, but maybe it will be helpful to some. And glad my checklist helps to get you started. That, after all, is what a good writing checklist is for! I have made my own and use them all the time. I love this post! I’m in the process of percolating my next series in my mind, and developing on my series hero, who I’ve had in mind for several years. Your list of what makes a great series character is fantastic, and very useful. One of my favorite characters is Harry Dresden, hero of the Dresden Files urban fantasy series. Harry is a Chicago private investigator and wizard (magic is hidden from the vast majority of humans). He’s appealing because he cares about others. He sacrifices himself to do the right thing. He’s also funny, self-deprecating and a bit of an unreliable narrator who doesn’t often see how scary his 6’4″ magic-wielding self is to others, instead seeing himself as a bit inept and over-matched at times. He’s also a modern knight errant, in the best fictional P.I. tradition, which fits the Noir tone of the series and is partly why the series is such a touchstone for urban fantasy. Dale, I love Harry Dresden, too. He is Chandler-esque, with the noir set in that magic world. I tried to get that into my Mallory Caine, Zombie-at-Law thrillers. I once tracked how often the Hardy Boys were blackjacked into unconsciousness. Over 57 books, Frank was knocked out 123 times; Joe 134. I think that’s why there were no Hardy Men mysteries. That’ll hurt your character growth. Now that’s funny (and painful), Jim. I had no idea it was that many times! The CTE on those poor lads. I think of all those noirs and Westerns where the hero gets knocked out .. then a few minutes later sits up and rubs his head, then is back to normal … and mad!Yeah, right. I’m a fan of Scandinavian noir, so Kurt Wallender is a favorite for all he reasons you’ve listed. Also, on Netflex a series named Hinterland has a great lead detective DCI Mathias. The series is set in a coastal town in Whales and that gives it an other world feel. Thanks for the tip, Brian. Sounds like something I will want to check out. As a series author myself, I think one of the greatest challenges is how to deal with the main character’s arc. I never want to create a circumstance where a reader who first discovers the series in the current book (the 10th in the case of my most recent) feels disoriented or left out because they haven’t been with the series from the beginning. On the other hand, I want to leave little Easter eggs for those loyal readers who have come along on the whole ride. The Hardy Boys have gotten a lot of love in other responses, but for me, the best sleuthing team when I was a kid was Alfred Hitchcock and the Three Investigators. I addition to their adventures, I loved the fact that they had won unlimited access to a chauffeured limousine, and that their clubhouse was in a junkyard. Jupiter Jones, Pete Crenshaw and Bob Andrews were the best. I was a longtime loyalist for Tom Clancy’s Jack Ryan novels, but after a while, they got too bloated for my taste. I love Flynn’s Mitch Rapp and Thor’s Scot Harvath. More recently, I have become obsessed with the goings in in Winterfell, but only on television. Can’t wade through the books. John, you bring up a great point about keeping things fresh and consistent in a series. That’s why when I started the Romeo series I also began keeping a massive series Bible, indexed and giving me quick access to the main points of arc and relationships and so on from book to book. I SO wish that I had thought of a series bible when I started. Great stuff, Jim. I’ve written a few posts on the difference between “concept” and “premise” on this site and elsewhere (including my last post here, unfortuanately something that flies past many readers like a Aldous Chapman fastball), and this is right in the center of that proposition. Series detective novels are among the most challenging where concept is concerned (along with romance), and your five-point criteria for a compelling series hero is exactly how it’s done. Give us a hero who is conceptual (differentiated from the normal; and certainly, grouchy, cynical, worn out, ex-alcoholic, divorced detectives who don’t get along with their lieutenant are indeed the normal cliche) and the premise you put forth will be enriched by that effort. We make them conceptual precisely by executing those five golden tips you offer today. Larry, your mention of romance brought to mind another series challenge. What about those romantic interests? Some people think that Spenser went off the rails when he got totally involved with Susan Silverman. When you are writing a lone wolf hero, do you complicate matters by bringing in a love interest? Lee Child takes care of that problem quite easily. But even now I’m contemplating how to work that out in my own series. What do you think? I, for one, tend to read series as much for the relationships as for the mystery plot. However, I’ve heard John Sandford say he wishes he could just get rid of Weather. I think it’ll end up being six of one, half a dozen of the other when it comes to reader preferences. The beauty of a mystery series as opposed to romance is that you’ve got lots of books to play with relationship arcs, and you can get rid of the character if she doesn’t work out. Can’t do that in a romance. Readers want/need that HEA. I think Susan Silverman was essential to the Spenser series. I know for a fact that my wife would not have read all of his books without their interaction. The Spenser/Susan interaction made Parker’s books more accesible to female readers, and at least for me, made him a more well-rounded character. I used to get Nancy Drew mysteries as gifts when I was growing up. A guy friend whose birthday was close to mine always got the Hardy Boys. He liked Nancy better. I liked Joe and Frank. We swapped. Always loved Miss Marple. The older I get the more I like her. My current favorite series dude (other than Jack Reacher) is Joe Ledger. I’ve only read one, but that sucker kept me up all night for a few nights. Not many books do that for me. It’s interesting how close “Joe Ledger” sounds to Jack Reacher. And isn’t Baldacci doing a series with “John Puller”? That’s got to be a joke between him and Lee Child. I don’t think Child thinks of it as a joke between the two. “Puller,” Child snarled, “is a total bloody rip-off of Reacher!” In one novel, he has a character called Baldacci. Reacher breaks both his arms. In another, he has someone called Puller who is a total idiot. I re-read a few favorite series because the characters are so well-defined and grow so much through their experiences that they become real to me. 1. I’m really missing Dean Koontz’s Odd Thomas. 2. Eve and Rourke never fail to surprise me with some new depth of realization about their pasts. And even Summerset has lost some of his crust. 3. Harry Dresden is flawed enough to make the reader feel a human connection. 4. And Travis McGee rocks the laid-back boat-guy-with-a-past thing like few characters have since. 5. Jesse Stone’s angst resonates with anyone who’s suffered loss and deep self-doubt. 6. Jane Whitefield sacrifices relationships to protect and hide lives in danger. I try to learn from the way the authors of these characters breathe life into their characters over time while keeping the reader engaged with the question of where they could possibly go next. If I can bring even a part of those emotions, values, and strengths to my writing I’ll be happy (and growing as a writer). Suzanne, what you admire in these authors is precisely what I and so many others try to emulate. One could mention Lawrence Block’s Matt Scudder, too. Scudder is an alcoholic ex-cop (before that was a cliche) in part because he accidentally caused the death of a little girl. In Eight Million Ways to Die, Block threads the drinking, the angst, the case, and the milieu (early 80s New York) masterfully. Rebecca, one advantage of the historical is that technology doesn’t change! I like Lawerence Block’s Matthew Scudder, too. In addition to Travis McGee. Andrew from BetaBooks here. Thanks for the mention! Just want to clarify since this is a common misconception: BetaBooks isn’t a service to help find readers. Rather, BetaBooks is a web app like Google Docs, but specifically designed for authors distributing betas to their established reader lists. Everything is private between you and your readers. Authors on BetaBooks typically have anywhere from 5-50 readers they’re working with (a few have hundreds of readers), and BetaBooks takes all the back and forth communication out of the inbox and makes it easy to search, categorize, and act on so you get a better beta experience in a lot less time. Oh I didn’t misunderstand the purpose, but I didn’t state it very clearly in my post. So thanks for the clarification. Hmm my reply didn’t nest correctly under the post I was responding to, sorry about that. A point of uniqueness, a quirk or style that sets them apart from everybody else. Son of a duke. Collects rare wine and incunabula. Excellent pianist. Most importantly, loquacious, witty to the point of being silly. Not only is this characteristic entertaining, but it gives Lord Peter some depth (what’s happening under the surface?) and often serves the plot. A skill at which they are really, really good. He’s really good at everything, from lock-picking to wine tasting. In one story he’s challenged by a wine and successfully identifies the extremely obscure vineyard it comes from. A bit of the rebel. Peter flaunts his class expectations. His brother, the Duke, and, especially, his sister-in-law are embarrassed by him. A vulnerable spot or character flaw. We learn here and there in the series that he suffered serious shell shock/battle fatigue/PTSS during WWI, but was also a hero. My guess is that his silly wit and patter are tied somehow to this trauma. But as Jim suggests, we’re not hit over the head with this, nor is it used as a tearjerker. It just comes into the stories occasionally. Another vulnerable spot is that he’s self-conscious about his appearance. Thin blond hair, silly face, monocle. As you might have guessed by now, he has any number of them. I’ve seen a number of people suggest Dorothy Sayers was in love with him. This is one of the fun parts of the series. In _Strong Poison_, which comes in the middle of the series, Lord Peter falls for a woman crime novelist 🙂 who is on trial for murder. When her first trial ends in a hung jury, he undertakes to find the true murderer. In his first interview with Harriet, he tells her he’s going to marry her after he clears her. Of course, she won’t have him . . . Excellent notes, Eric. Thanks for posting. The Hardy Boys during my formative years. Lately, Craig Johnson’s witty and likeable Walt Longmire. You struck a chord with this post. I’ve enjoyed it as well as the readers’ comments. A contemporary series character I enjoy is Brian Freeeman’s Duluth detective Jonathan Stride. 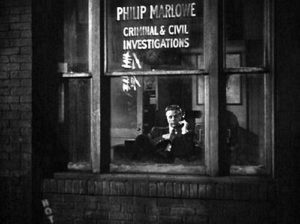 Freeman’s treatment of Detective Stride brings to mind a couple of additional elements not directly about the protagonist that can make a lead character memorable. The sidekicks–Stride has a couple of them, both female, one his professional partner and ex-lover and the other who is his current significant other and who also ends up working the same cases as he. Both are very strongly developed characters. The second supportive element: setting. Freeman does a superb job of capturing the feel of what it is to live in Duluth year-round, from its frigid, inhospitable winters to its short but lavish summers.